Engine 201, 204, 208 and 209 are identical 2011 Pierce Arrow XT 2000gpm pumpers. The engines are housed at each of the MTFR fire stations and serve as the first due pumpers to structural fires. Engine 209 is used as a reserve engine. It is used for driver training and replaces the other engines when maintenance issues occur. Each engine has a 500 gallon water tank, several pre connected hoselines, over 2000’ of supply hose and an 8kw generator with 100’ cord reel. 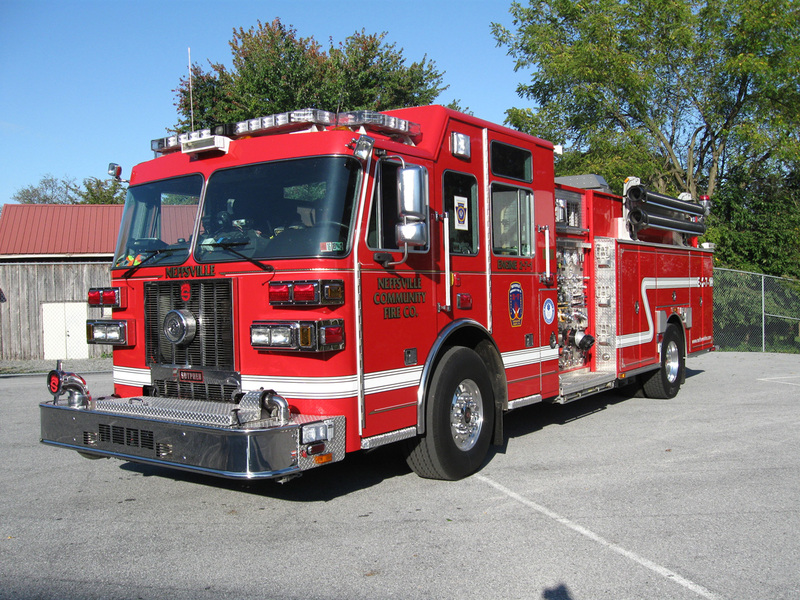 Engine 207 is a 2008 Sutphen Monarch Series 2000gpm pumper. It is housed at the MTFR Neffsville fire station. Engine 207 carries 1000 Gallons of Water, several preconnected hoselines, 1000’ of 5” hose and a Holmatro rescue tool system. Engine 207 is dual tasked as an engine/foam unit. It carries 55 gallons of foam and a Williams Advent Foam System.